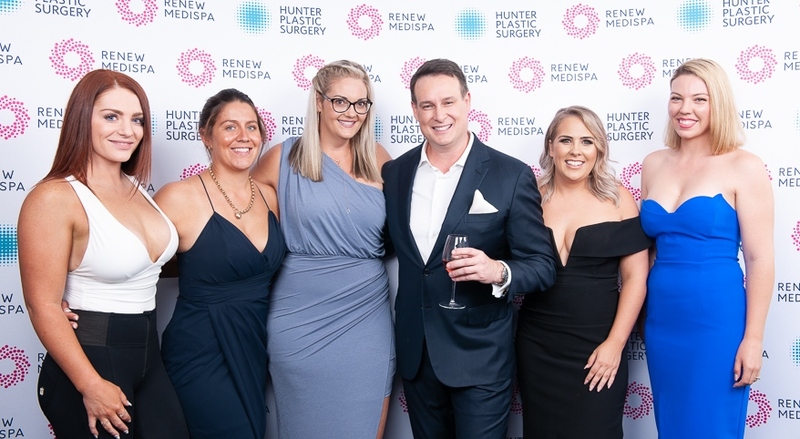 Dr Nicholas Moncrieff and his multi-award winning clinic Hunter Plastic Surgery in Newcastle NSW celebrated their 10 year anniversary this week, getting together with their loyal, dedicated staff and former patients. 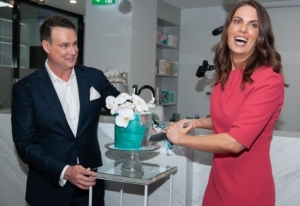 Since their opening in March 2009, Dr Nicholas Moncrieff has become renowned as one of Australia’s best plastic surgeons and even has his own hastag #moncrieffmagic. His equally talented wife Amber, who helps run their successful clinic, has also been recognised in recent years winning the Lake Macquarie Business Person of the Year two years running in 2016 and 2017. 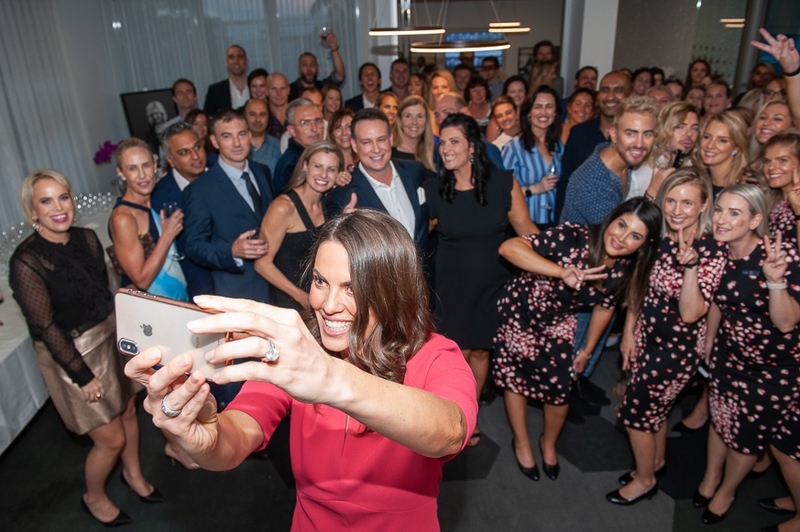 Dr Moncrieff said part of their success was the realisation that there was a high demand for surgeons who focussed exclusively on female patients for post pregnancy and post weightloss. In early 2017 Dr Moncrieff moved his practice to focus exclusively on breast reductions, augmentations, tummy tucks and lifts. “This was a bold move as there are only a handful of Plastic Surgeons in the nation who are so specialised. But we have never had so much demand for my time, so it proves that we are doing what women want,” Dr Moncrieff stated. Lisa Naylor being presented with her free breast reduction cheque! One of the things Hunter Plastic Surgery are known for his their amazing team. This allows their patients to benefit from not only having one of the best plastic surgeons in the country but the best team for pre and post surgery care and support. It has also led to them getting a national reputation as a destination for patients from all over Australia. Amber says their team works together to ensure not just great clinical outcomes, but a five star experience as a whole. “We strive to provide something that isn’t always the norm in medical settings. As a result, we have won eight awards over the last 6 years, and now have a national reputation amongst prospective patients. In the past 12 months, almost a third of our patients have come from more than 50 kilometres away from Newcastle – including as far away as North Queensland and Perth! We must be doing something special for women to travel that far. We even started using the social media hastag of #MoncrieffMagic after a patient started posting her after photos using that term. We like to think we are providing magical transformations! “I think our patients appreciate that we are so invested in helping them and work so closely to deliver that 5 star experience. Even little things like the fact they can message me on Instagram on the weekend and I will reply, is something that means a lot.” Amber says. Dr Moncrieff and Amber also celebrate their 10th Anniversary this month! 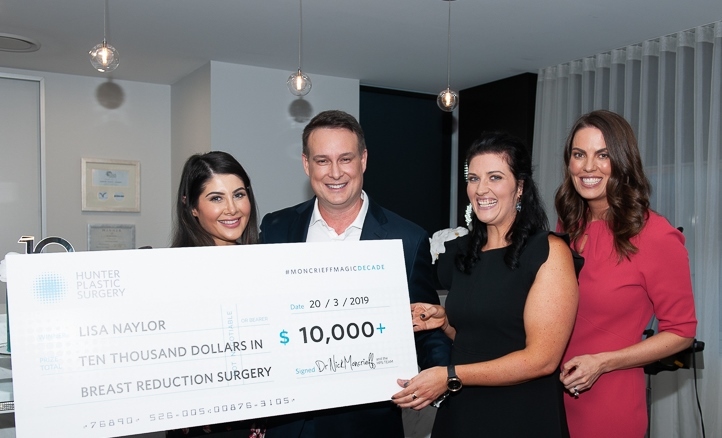 We’d like to send a big congratulations to Dr Nicholas Moncrieff and Hunter Plastic Surgery for not only their 10 years in practice, but for the 18,000 patients and over 20,000 surgical procedures Dr Moncrieff has performed in that time. We’d also like to send a special little congratulations to Nicholas and Amber who also celebrate 10 years of marriage this month! If you haven’t seen the #moncrieffmagic yet, make sure you check out the blogs below. Thank you so much Trish, Kristy and the other amazing women who run Plastic Surgery Hub for this beautiful blog. We truly love what we do and really appreciate your suppry in helping women make a great choice! Oh Lisa – what beautiful words! You are an amazing, hard-working woman and we are just so happy to do this for you.